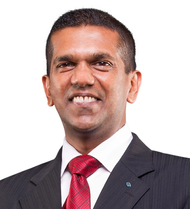 Business veteran Ravi Edirisinghe has been appointed Director/Chief Executive Officer of GAC Group of companies in Sri Lanka.He brings to his new role 27 years of knowledge and experience in strategic planning, business development and re-engineering, supply chain management, logistics and project management in diverse industries to this role. He is responsible for the strategic growth and business direction of the Group comprising GAC Shipping Ltd, GAC Marine Services Pvt Ltd and GAC Logistics Ltd. In the third quarter of 2018, A.P. Moller - Maersk progresses in the strategic business transformation, reporting growth in both Ocean and non-Ocean with a total revenue increase of 31% to $10.1bn, 12% excluding Hamburg Süd. Growth in non-Ocean was at 15%, which now contributes 31% of total revenue. In addition, synergy effects were realized.“Well into our transformation, we are progressing with the integration of our business to better serve customers and unlock the full growth potential within Logistics & Services. Edward Anthony DeNike, president of SSA Containers, a division of Carrix, received the 2018 Connie Award presented by the Containerization & Intermodal Institute (CII) in Long Beach, Calif., on Tuesday. DeNike was honored for his contributions to containerization and international trade and transportation industry over the course of the last five decades.The dinner event honoring DeNike was held in conjunction with the IANA Intermodal EXPO and attracted more than 250 people. "It is no surprise that our recipient, Ed DeNike – an industry legend – has attracted a record-breaking crowd. Echo Global Logistics, Inc., a provider of technology-enabled transportation and supply chain management services, has announced that Virginia “Ginnie” Henkels was named to the company's Board of Directors, effective Monday, September 10.Henkels served as Executive Vice President, Chief Financial Officer, and Treasurer of Swift Transportation Company, a $4 billion North American truckload carrier, from 2008 to 2017. 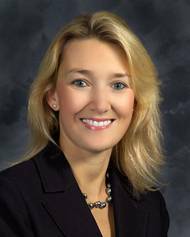 There she held various accounting and finance leadership positions starting in 2004. Digital freight forwarder Twill has switched its brand affiliation from Damco to Maersk. The realigning of the brand will make it possible to offer Twill to all Maersk customers, in line with the A.P. Moller – Maersk strategy to become a global integrator of container logistics offering end-to-end solutions.Launched in April 2017, Twill was created as a Damco innovation and operated as a partner with the freight forwarder and supply chain management company, which is part of A.P. Damen Marine Components Netherlands (DMC NL) has laid the first foundations for its new premises in Hardinxveld, the Netherlands. Construction of new buildings reflect growth potential following company merger. With capacity for approximately 80 people, the new buildings will be used for both offices and production purposes. With construction of the new buildings beginning as the first foundation pile was driven into the ground on the site of DMC former head office, the company’s motivations to build new premises were twofold. Supply chain management and freight forwarding services provider DAMCO, part of A.P. 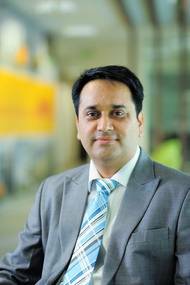 Moller – Maersk, has announced the appointment of Ashutosh Dixit as CEO for India, Bangladesh and Sri Lanka (IBS) effective from June 15, 2018.A seasoned executive with over two decades of experience in Supply Chain, Ashutosh will lead the next phase of growth for Damco across IBS with a key focus on offering innovative and seamless solutions to customers shipping from and to the IBS markets.Ashutosh comes to Damco from DHL Global Forwarding where he held different leadership positions across functions. 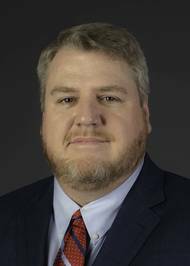 Scott Weldon was promoted to vice president of supply chain management at HII’s Ingalls Shipbuilding division. In this role, Weldon will provide leadership to all Ingalls supply chain management functions, including sourcing, procurement, inventory control and material warehousing. He succeeds Lori Harper, who will retire on Aug. 1 after more than 15 years of service at Ingalls. Weldon joined HII in 1998 and served in various leadership positions across the shipyard. Most recently, he served as chief procurement officer. For the second consecutive year, GAC Dubai has been named the FMCG Supply Chain of the Year in the Logistics Middle East Awards. The 2018 award, like last year’s, acknowledges the company’s service to the Middle East’s busy Fast Moving Consumer Goods (FMCG) sector. The win recognizes GAC Dubai’s procedures, training and technology deployed in ensuring a seamless, safe and efficient cold chain and consistent commitment to providing supply chain management services to the sector. Kuehne + Nagel announced the launch of KN ESP. By the use of the platform, customers will be able to connect, collaborate and manage their physical and digital supply chains from sourcing to delivery on a global level. Kuehne + Nagel’s new comprehensive supply chain management platform, KN ESP, offers a modular architecture to connect international supply chain customers with their vendors, their buyers and sellers, Kuehne + Nagel’s physical assets and experts, and their cargo flows. MMA Launches Third Graduate Degree, M.S. Maritime Business Management. The Massachusetts Maritime Academy has announced the launch of their third Graduate Degree, the Master of Science in Maritime Business Management. MMA developed the MSMB over a four-year period as a campus-wide collaborative effort with the Academic Dean, the Dean of Graduate & Continuing Education, the undergraduate International Maritime Business Department faculty and input gathered from employers, prospective students, the Graduate Education Council, and MMA graduate and undergraduate alumni. Descartes Systems Group, specialist in logistics software, supply chain management software, and cloud-based services for logistics businesses, announced it has acquired Aljex Software, Inc., a cloud-based provider of back-office transportation management solutions for freight brokers and transportation providers. Descartes acquired Aljex for $32.4 million in cash, satisfied from Descartes’ existing acquisition line of credit. Serving freight brokers and transportation providers for over 20 years, Somerville, N.J. headquartered Aljex has built a robust platform backed by deep domain expertise.